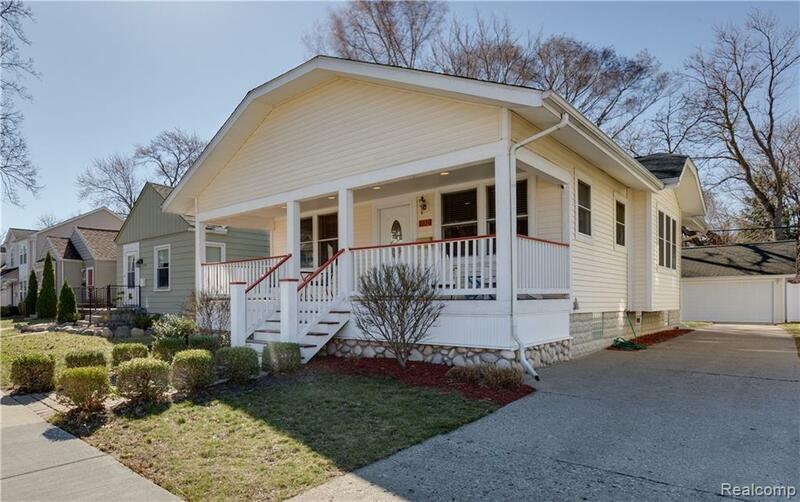 Live life large in this wonderful 1920 Bungalow home just a short walk to downtown Ferndale. Amazing spaces await. The front sitting porch will relax and inspire you. The living room and dining room open together with original oak flooring, high ceilings, bright windows, and more. The enlarged master bedroom features additional closet space and large windows. The second bedroom and full bath adjoin the formal dining room and leads to the remodeled kitchen. Keeping the original pantry, updating everything else, this kitchen charms and impresses. The finished lower level offers living space, laundry, activity space, etc. The yard has a stained, stamped concrete patio, a two car garage, and the home features newer windows, roof, siding, etc.… This is an awesome home and a great chance to Make Home Here.